Yes, you read the blog post title right…Brookfield Zoo Wedding. When I tell people about this magical wedding, the first thing everyone says is that they didn’t know you could even have a wedding at the zoo. Well let me tell you…You can, and it’s AWESOME! I was ecstatic when I received a message from another Quad Cities Wedding Photographer asking if I’d like to second shoot a wedding that she had booked in Chicago, IL, and the couple was having a Brookfield Zoo wedding! I immediately agreed to it! It sounded amazing, and it was incredible! It totally exceeded all my expectations! We started the afternoon with a first look with the bride’s father. I always love these moments when a dad gets to see ‘his little girl’ in her beautiful dress all ready for her big day. It’s really emotional and such a neat memory to have in your wedding album. Next we moved into a first look with the bride and groom. We had the groom face the opposite direction of where the bride was coming from. She slowly walked up to him, tapped him on the shoulder, and his reaction was priceless! It still puts a smile on my face as I look back at these portraits. I’m such a sucker for these moments! After we wrapped up all the family, bridal party, and a few extra bride and groom pictures, we tucked everyone away as the ceremony was about to begin. The ceremony overlooked a little pond with a fountain. It was so beautiful. Then the cocktail hour which followed the ceremony was held at the giraffe enclosure. I mean seriously…does it get any better!?!?!? The park closed at 6pm which allowed us full access to the entire park to use EVERYTHING at our disposal, including the gorgeous carousel for a couple bridal party pictures! The crew for this venue was really wonderful to work with. We had a golf cart for the day to take all over the park to photograph this couple…it was like we were royalty! It was great! So with all of that being said, please check out my favorite images that I took during this gorgeous wedding at Brookfield Zoo in Chicago, IL. If you or someone you know is getting married, please feel free to message me! I’d love to chat further with you about all your exciting details, and how I am able to capture your beautiful wedding story! 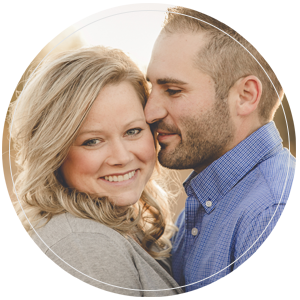 Amanda Oakes Photography is a Quad Cities wedding photographer who also specializes in engagement, newborn, family and children photography, and maternity photography. This includes photography services in the Moline, IL, Rock Island, IL, Davenport, IA, Bettendorf, IA, Muscatine, IA and the greater Quad Cities area.